Circle K International began as a Kiwanis club service project to provide an opportunity for capable, ambitious, and worthy young men to acquire a college education by assisting them, where necessary, with their financial problems; by means of a scholarship fund, if available, or securing part-time employment. Additionally, affording its members a useful training in the social graces of a well-rounded personality was a focus area for CKI. Soon after the concept of CKI was recognized and accepted, the element of community service was introduced to CKI, thus creating an appealing outlet for collegians around the globe. Today, as the largest collegiate service organization, CKI boasts a membership of more than 13,000 collegians on nearly 550 campuses worldwide. CKI is a student-led organization with an International Board of Trustees elected by its membership each year. Embodied by its tenets of leadership, fellowship, and service at the club, district, and International levels, CKI continues to grow through service to the world’s campuses and communities. Circle K International has grown tremendously over the past 40 years, sometimes in spirit, sometimes in members, and still other times in service to the community. 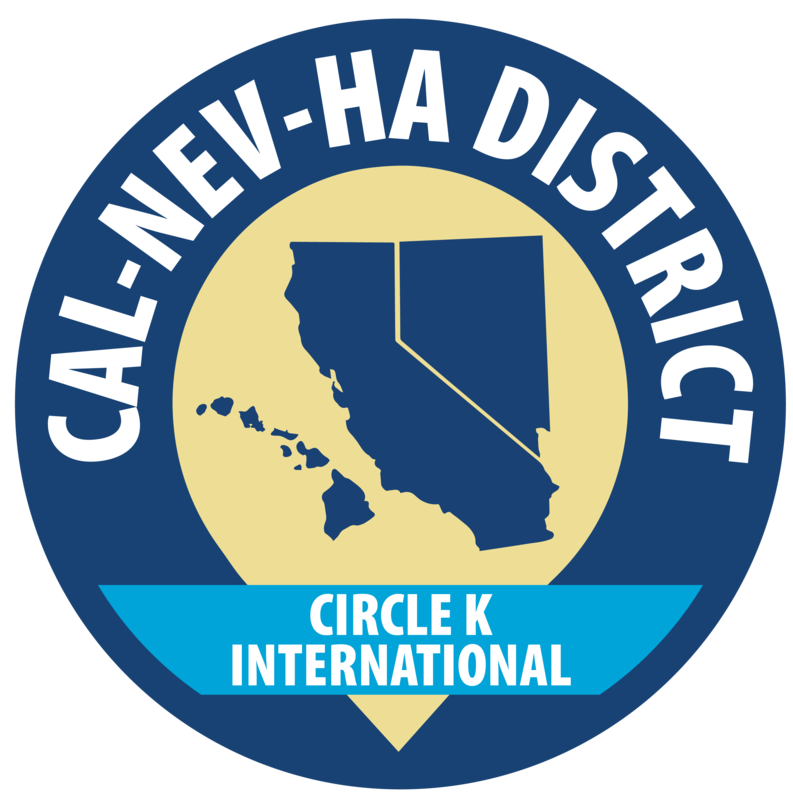 Circle K International is continuing to move toward ever-increasing service and leadership development as well as providing fellowship and personal growth to the members. Though history provides a good foundation from which to view achievements and obstacles, Circle K International must connect the organization’s mission with tomorrow’s college students and tomorrow’s student organizations to envision the possibilities for the organization and realize its dream of creating a better world in which to live. 1936: Circle K concept presented at the collegiate level at Washington State University. 1947: First CKI Club chartered at Carthage College, Illinois. 1949: CKI becomes an International organization with the chartering of a club at the University of Western Ontario. 1952: Wally Miller of San Diego State becomes first elected president of CKI. 1953: Kenneth B. Creasy of Ohio Wesleyan University elected as president of CKI. 1955: CKI Constitution and Bylaws adopted. 1957: Texas-Oklahoma becomes first district of CKI. 1971: Females welcomed into CKI. 1982: CKI memberships surpasses 14,500 members. 1999: CKI leadership dedicates year as the Year of Service. 2000: Members of CKI surpass the $420,000 mark in the effort to eliminate iodine deficiency disorders. 2005: Marks the 50th Anniversary of CKI. 2007: CKI announces its international fundraiser, Saving Lives: The Six Cents Initiative, which focuses on getting clean water to children who need it most. Circle K International is college and university students who are responsible citizens and leaders with a lifelong commitment to community service worldwide. Circle K inspires people to better our world. Its motto, the same as Kiwanis International’s, is “We Build.” Circle K provides constructive opportunities for students to become involved on their campuses and communities through service work to others in need. Circle K members have the chance to work with fellow students, children in the community, and other adults in need of special programs. Working toward greater public recognition of the organization. As one of the three tenets, service is the fundamental element of Circle K International. Collectively, Circle K members perform more than one million hours of service on their campuses and in their communities annually. Without service, Circle K International would be just another campus activity. Through service, college students are making the world a better place one service project at a time. Together, Circle K’ers truly make a difference in the community. Through the mission and vision of the organization, Circle K International is dedicated to the realization of humankind’s potential. The potential of Circle K International lies in its ability to positively influence members of society who are facing personal decisions and those who will one day create the vision of mankind for generations to come. Members can assume leadership responsibilities at all levels of the organization while actively contributing to their respective clubs, divisions, and communities. The unique experiences offered by Circle K truly develop and bring out the leader within each individual. If there is one thing that Circle K’ers know best, it is fellowship. Whether they are planning a car wash, reading to three-year-olds, or conducting business, Circle K members across the globe take time to meet and welcome new people. Members experience genuine fellowship and develop life-long relationships with fellow collegians, advisors, Kiwanians and citizens in their communities. Whether they are mentoring a child, networking with a businessman, or bowling with members, that member is developing social skills, networking, and strengthening relationships. And to dedicate myself to the realization of mankind’s potential. And many other objects, which can be found on the Circle K International website.